Background : Son of Angus and Margaret Cameron; husband of Evelyn Augusta Cameron, of Yannathan, Victoria, Australia. Service & personal summary At enlistment : married. No previous military experience. Blue eyes, fair hair. 15/08/1940 Admitted 4 Australian General Hospital Puckapunyal, Seymour, Victoria with mumps. 27/11/1940 Granted 3 weeks leave without pay 27/11/1940 to 17/12/1940. 18/12/1940 Returned to duty from leave without pay. 14/08/1941 Graded A1 Group 1 (Engine artificer). 04/09/1941 Relinguished A1 Group 1 Engine artificer. 05/09/1941 Graded Group 1 blacksmith. 06/09/1941 Evacuated to 2/3 Casualty Clearing Station Middle East with Sandfly fever. 08/09/1941 Evacuated from 2/3 Casualty Clearing Station to 1 Australian Corps Rest Station Middle East. 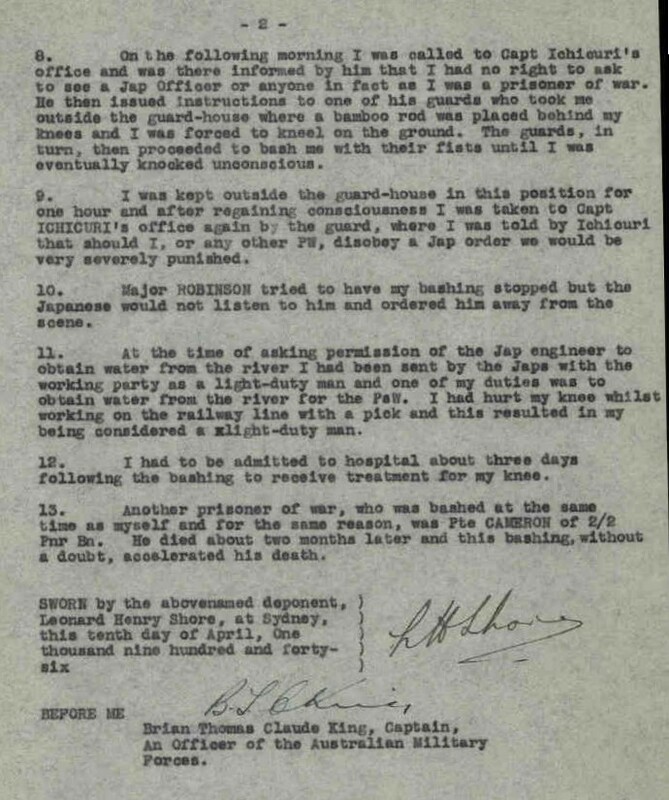 14/09/1941 Discharged 1 Australian Corps Rest Station to unit. 14/09/1941 Rejoined unit from 1 Australian Corps Rest Station. 19/10/1941 Evacuated to 2/3 Casualty Clearing Station Middle East with hepatitis and transferred to X list. 23/10/1941 Evacuated from 2/3 Casualty Clearing Station to 1 Australian Corps Rest Station Middle East. 05/11/1941 Discharged 1 Australian Corps Rest Station to unit. 06/11/1941 Rejoined unit from 1 Australian Corps Rest Station Middle East. 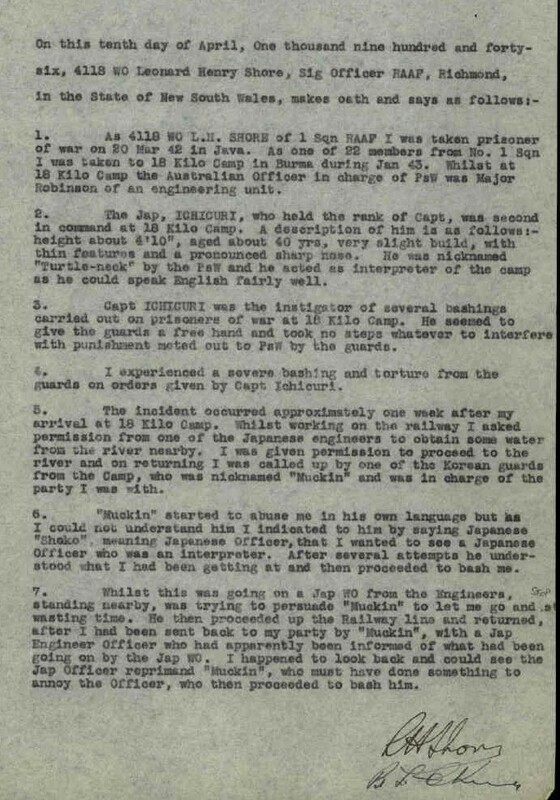 08/06/1944 Reported prisoner of war. 11/04/1945 Died of illness (dysentery) while prisoner of war on or after 01/04/1943. 03/12/1945 Date of death now 09/05/1943.